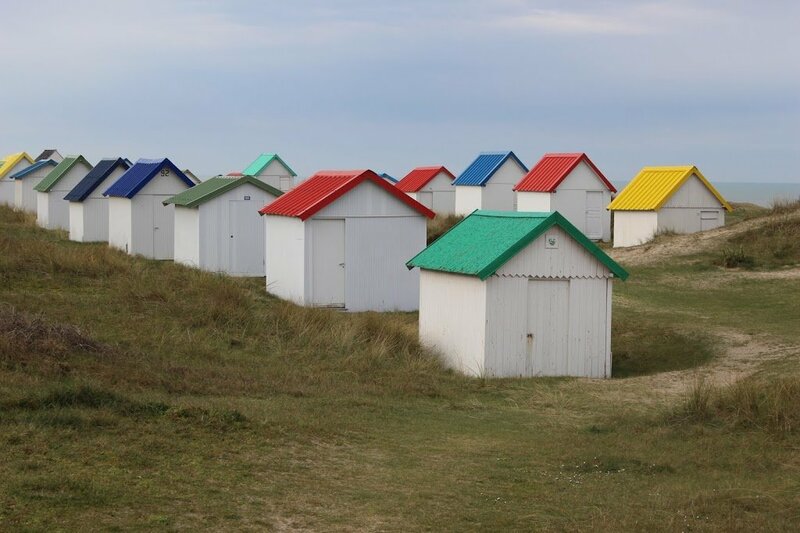 These delightful Normandy beach huts can be found in a small village called Gouville-sur-Mer. They’re so well known locally that they even appear on Google maps. They’re dotted along the coastline in a somewhat haphazard manner and stretch for around a kilometre or so. They sit high above the beach between the road and the sandy dunes. The brightly coloured roofs can be seen as you approach Gouville from the south. They date from the early 20th century when bathing became a popular pastime. There are more beach huts located in Barneville-Carteret. This seaside town is very popular with families during the summer months who make the most of the clean beaches. 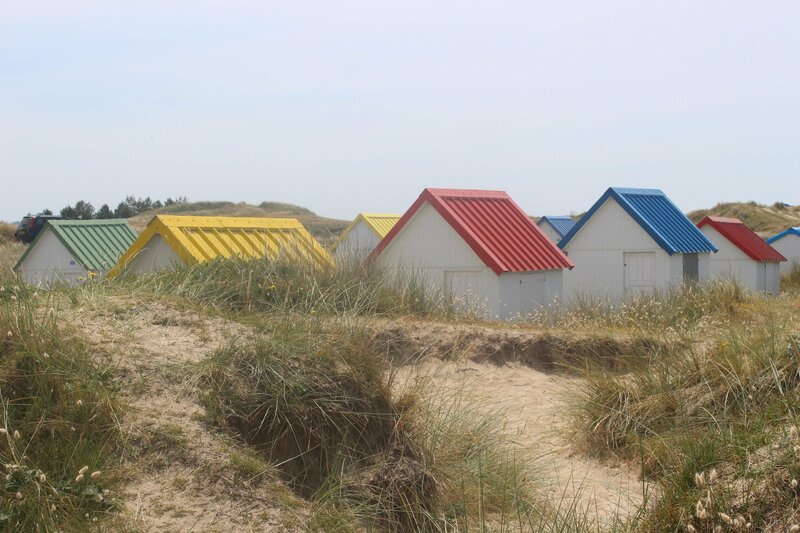 These huts are much more regimental in style and look straight out on the beach.